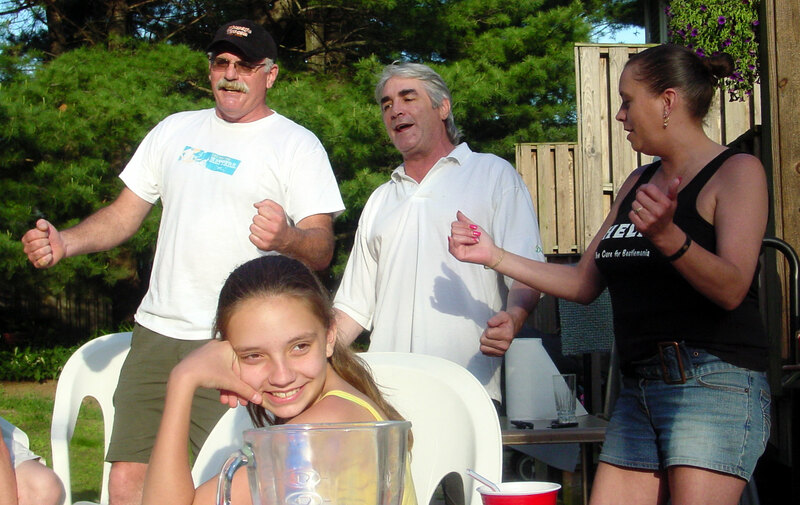 The gang "dancing" to Toby Keith's "Who's Your Daddy". That's Allie in the fore ground. From left to right: Bob (Fish) Fisher, Dave Gott and Kat Elliott.